Finding the right tool for your next home improvement job can make the difference between success and failure. 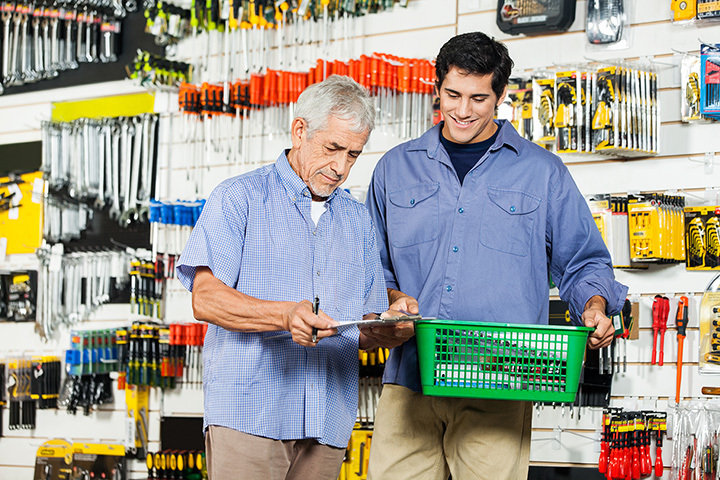 Before you swing the hammer, make sure to stop in to the following 10 hardware stores for advice and supplies. Coast Hardware in Seaside, Oregon, has customer service and selection you won’t find anywhere else. Simply come in, tell them what you’re working on, and they’ll be happy to help. Van Well Building Supply in Dallas, Oregon, sells lawn and garden options, including flowers, shrubs, plants, and bulbs, paint supplies, and much more. The selection of hardware, plumbing, and electrical is also diverse. Rockler is a regional chain with locations in 20 states and one in Beaverton, Oregon. They’ve got a wide selection of tools, hardware, supplies, and much more. You can find nearly anything you’d need at Rockler. In their own words, MacDonald Industrial Supply “is a family-owned and operated hardware store and industrial supply company in Albany, Oregon.” They sell tools, hardware, abrasives, and fasteners. Call their customer service line for a full inventory listing. Tum-a-lum Lumber has three locations in Oregon, including in Hood River, the Dalles, and Pendleton. Not only are they a full-service lumberyard, but they also offer design services, hardware, electrical, and plumbing. Since 1971, Coquille Supply in Coquille, Oregon, has been a family owned and operated hardware store. Originally a milking parlor for a local farm, it is now an independent retailer with all kinds of hardware and supplies on the shelves. Oregon Wholesale Hardware is a wholesaler providing fasteners, industrial supplies, tools, power tools, and general hardware to professional contractors in the area. Services include heavy construction equipment, caulks, chain fittings, and much more. Winks Hardware in Portland, Oregon, has been in business for over 20 years. They sell everything from the smallest screw to the most intense hardware. If you need it, Winks can get it. Coos Curry Supply is open daily from 8 a.m.-5 p.m. They sell a wide-variety of hardware and home equipment, including grills, patio furniture, vacuums, and more. They also provide water treatment service. Agate Beach Paint Supply Co is one of the oldest dealers in Newport. While they primarily sell interior and exterior paints, they also sell cabinets, oil bases for decks, and more. Discounts available for contractors and business accounts.